Projects have problems. That's why we select life cycles, approaches, and apply risk management as we proceed so we can manage these problems. What is common in these problems? Projects expose these problems, but the problems don't originate in a project. Each of these problems is a result of project portfolio problems. You can read my reaction and several other folks in project management in The #1 Challenge in Project Management (According to the Experts). People are not resources—they are resourceful. Can you count FTE (Full Time Equivalents) for estimating labor cost? Of course. I have a post in draft about how more part-time people does not make the equivalent of full-time people. That means thinking that 2 part-time people, especially when they multitask, does not make one full person. Knowledge work is not a factory. It's time to stop the manufacturing metaphors and acknowledge that we work with people. Wonderful, non-deterministic human people. People who innovate and solve problems. Resourceful people. 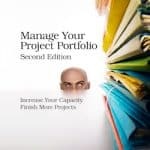 If you want to know how to manage the project portfolio, how to align schedules with the people and finish more projects, please read Manage Your Project Portfolio. 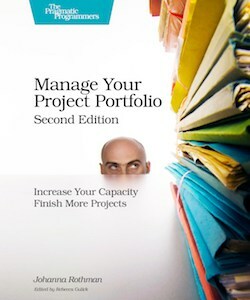 Don't let your project portfolio problems cascade down into your project. Your organization can do better than that.